A denture or a complete denture as it is often called is an appliance that is inserted in the mouth, replacing natural teeth and providing support for the cheeks and lips. Most dentures are made of acrylic and can be fabricated 2 different ways. 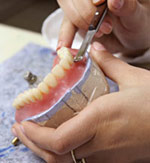 Conventional denture is made after all teeth have been extracted and the tissues (gums) have healed. Immediate denture is fabricated, inserted immediately after the teeth are extracted, and the tissues are allowed to heal under the denture. Upper denture has acrylic, usually flesh colored that covers the palate (roof of the mouth). Lower denture is shaped like a horseshoe to leave room for the tongue. 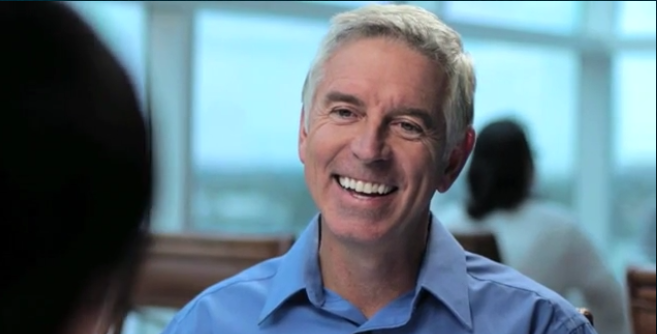 Call John A. Hughes, DDS today at (404) 284-4443, or browse the website for more information about Dentures and dental implant services, or learn more about Dr. Hughes.